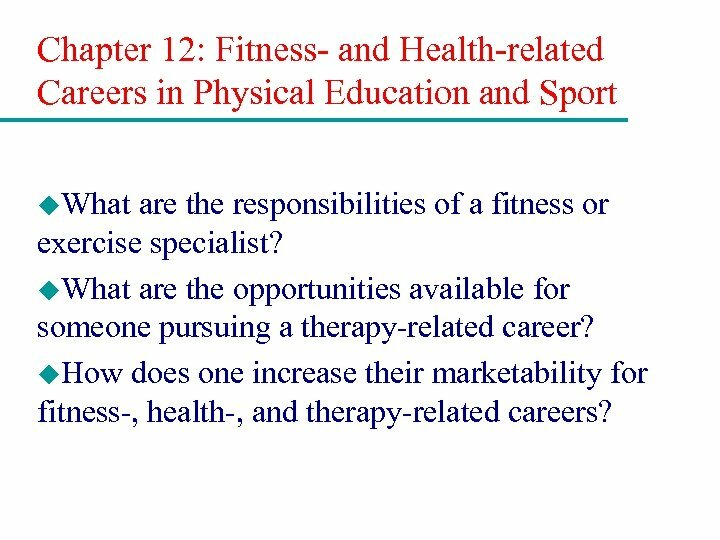 Chapter 12: Fitness- and Health-related Careers in Physical Education and Sport u. 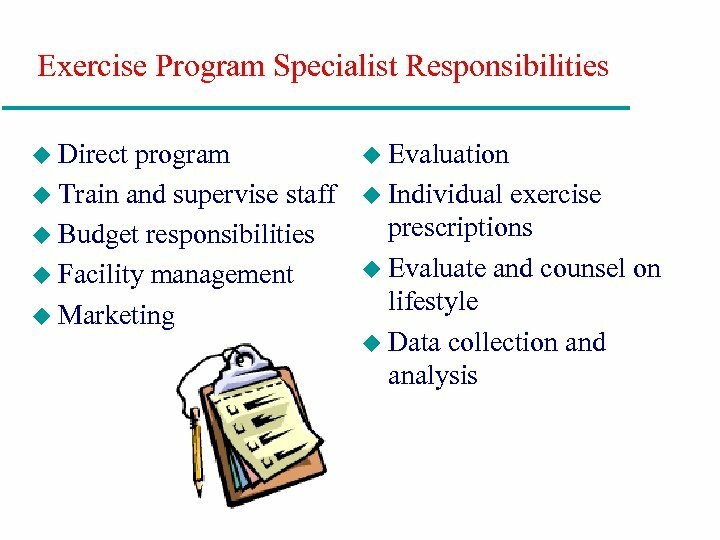 What are the responsibilities of a fitness or exercise specialist? u. 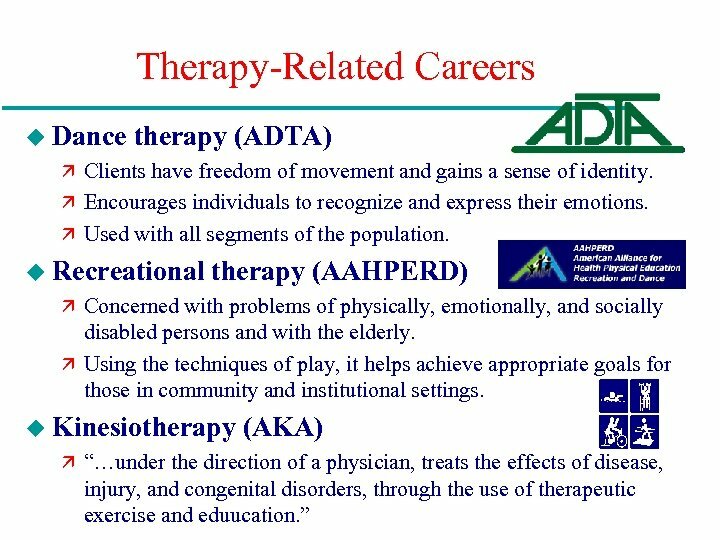 What are the opportunities available for someone pursuing a therapy-related career? u. 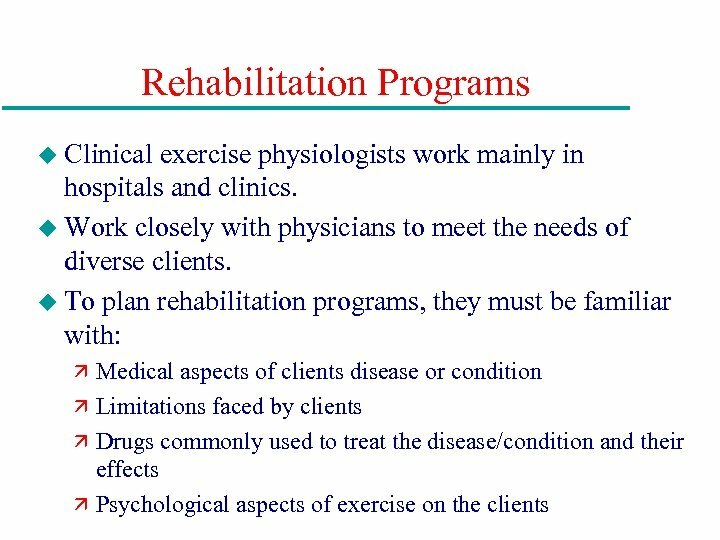 How does one increase their marketability for fitness-, health-, and therapy-related careers? 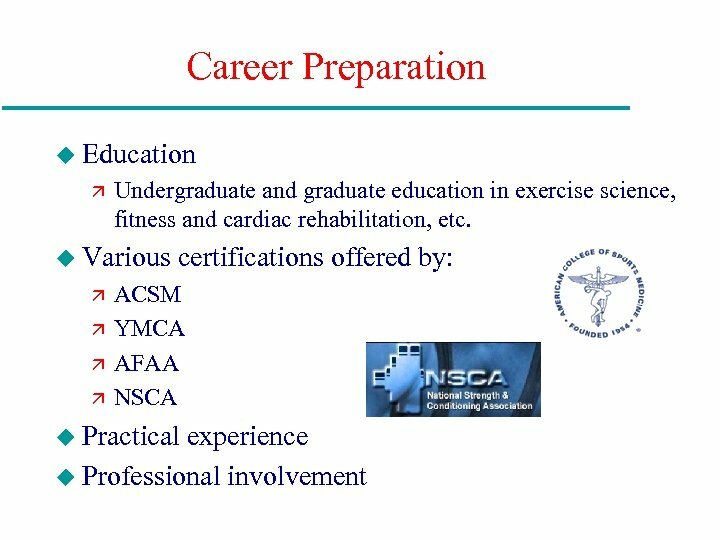 Fitness- and Exercise-related Careers u Preventive programs ä Specialists work with healthy adults to increase their level of fitness. 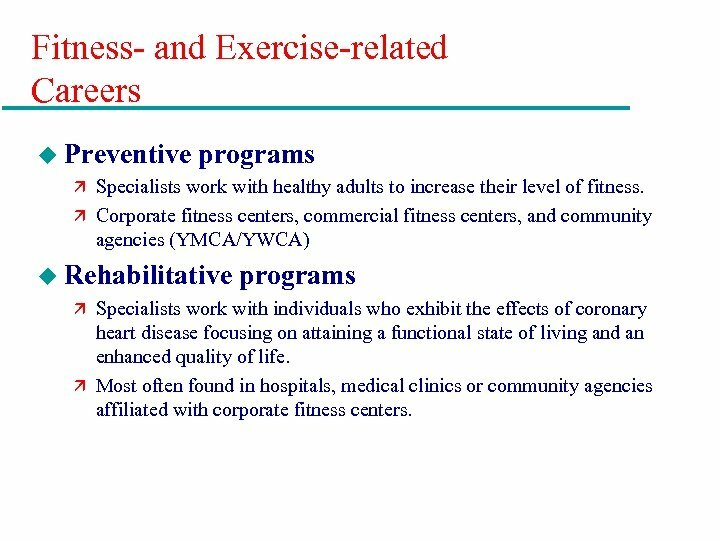 ä Corporate fitness centers, commercial fitness centers, and community agencies (YMCA/YWCA) u Rehabilitative programs ä Specialists work with individuals who exhibit the effects of coronary heart disease focusing on attaining a functional state of living and an enhanced quality of life. 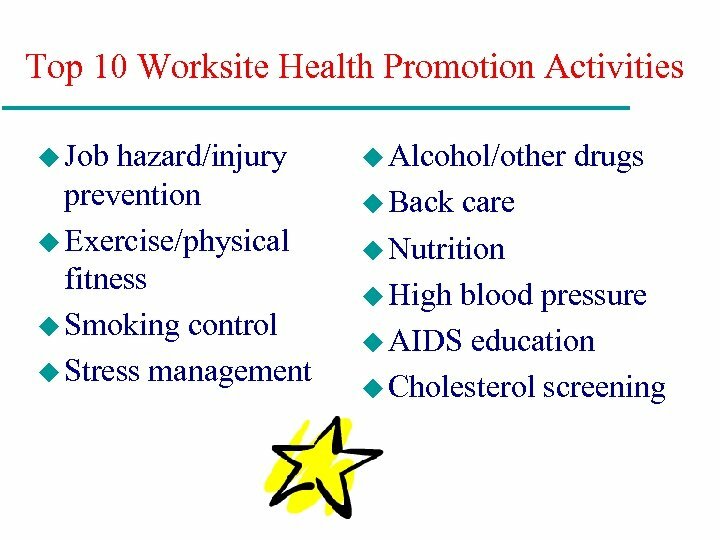 ä Most often found in hospitals, medical clinics or community agencies affiliated with corporate fitness centers. 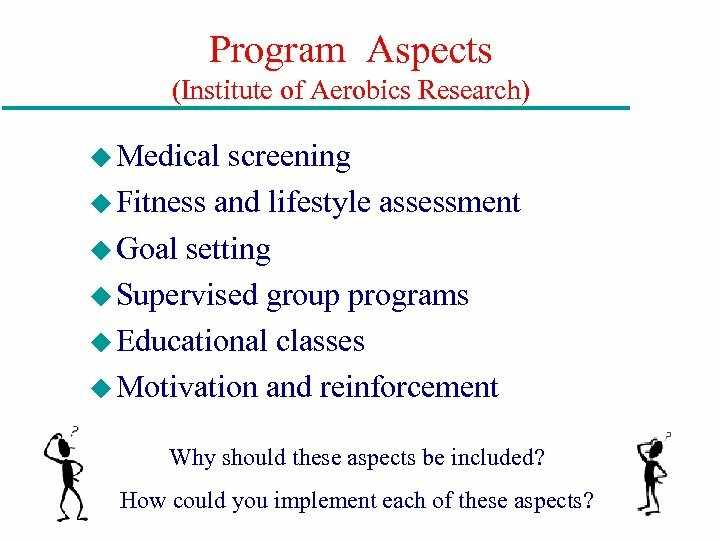 Program Aspects (Institute of Aerobics Research) u Medical screening u Fitness and lifestyle assessment u Goal setting u Supervised group programs u Educational classes u Motivation and reinforcement Why should these aspects be included? 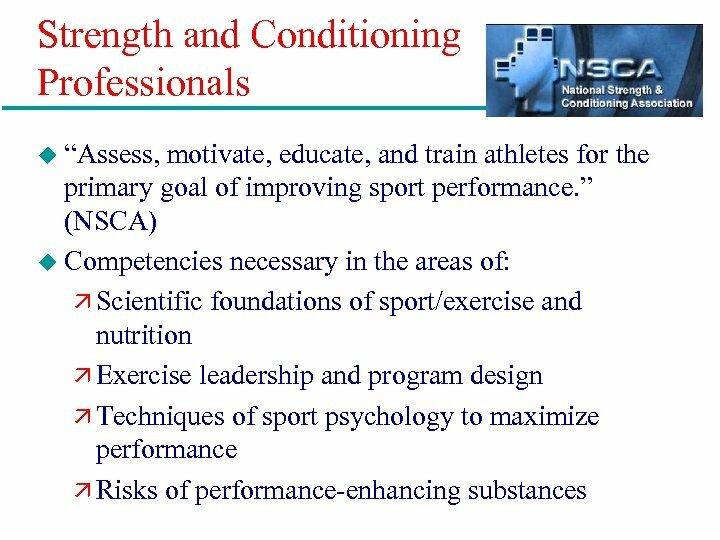 How could you implement each of these aspects? 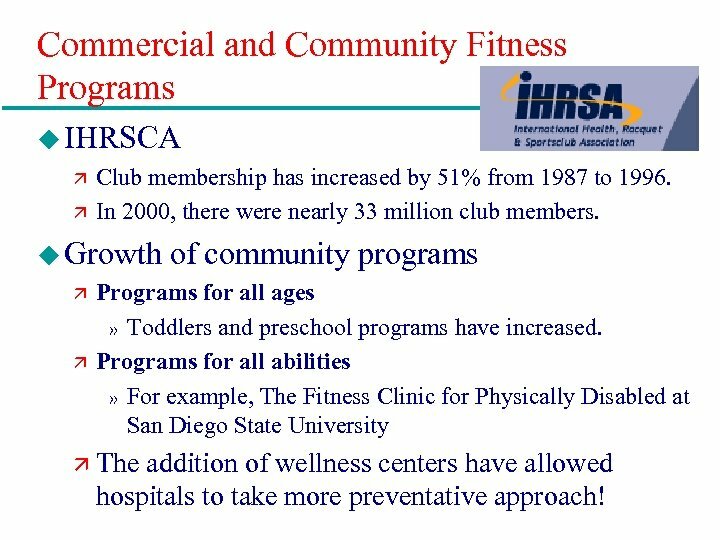 Commercial and Community Fitness Programs u IHRSCA ä Club membership has increased by 51% from 1987 to 1996. ä In 2000, there were nearly 33 million club members. 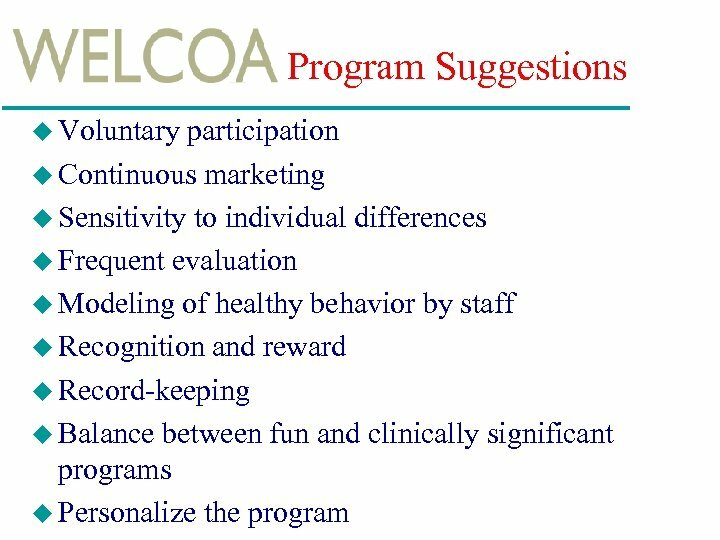 u Growth of community programs ä Programs for all ages » Toddlers and preschool programs have increased. 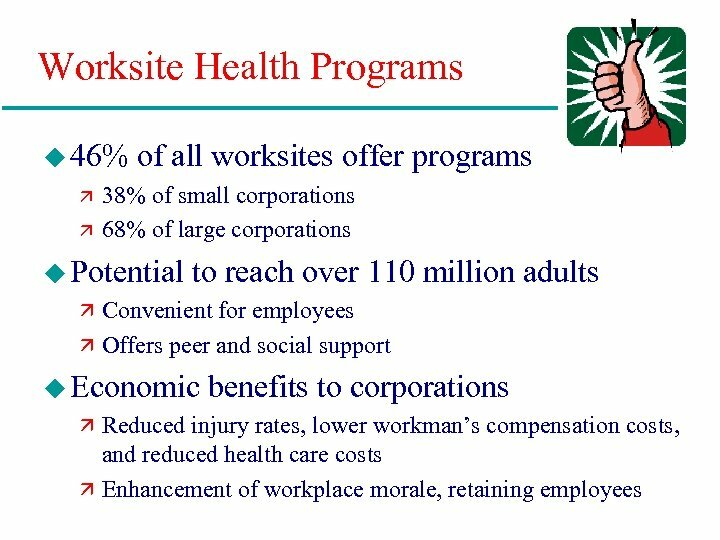 ä Programs for all abilities » For example, The Fitness Clinic for Physically Disabled at San Diego State University ä The addition of wellness centers have allowed hospitals to take more preventative approach! 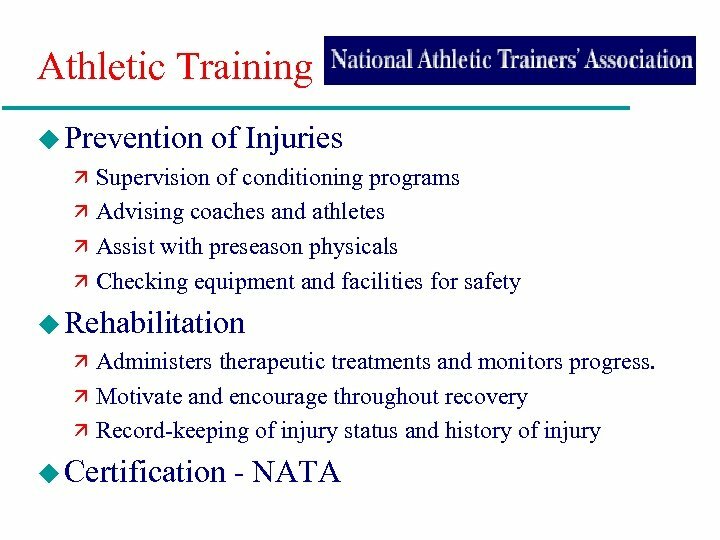 Personal Trainers u Work in private and public settings: ä Conducting fitness assessments. ä Developing specific goals with clients. ä Designing programs for goal attainment. ä Coaching clients through workouts. ä Monitoring progress of goals. 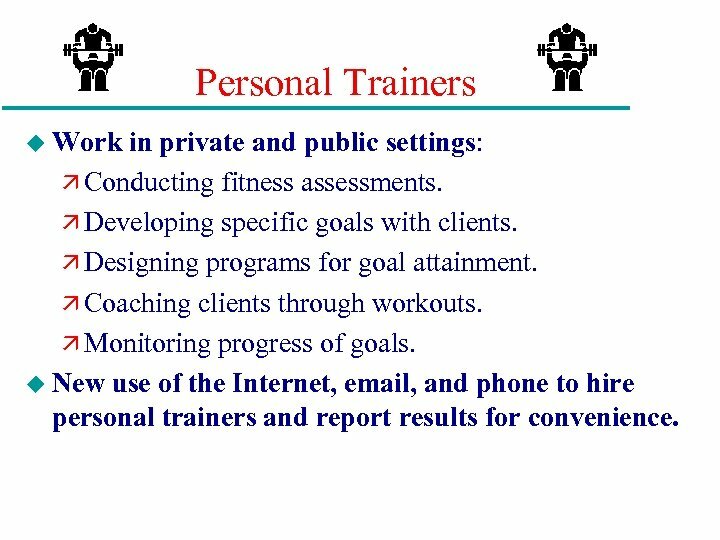 u New use of the Internet, email, and phone to hire personal trainers and report results for convenience. 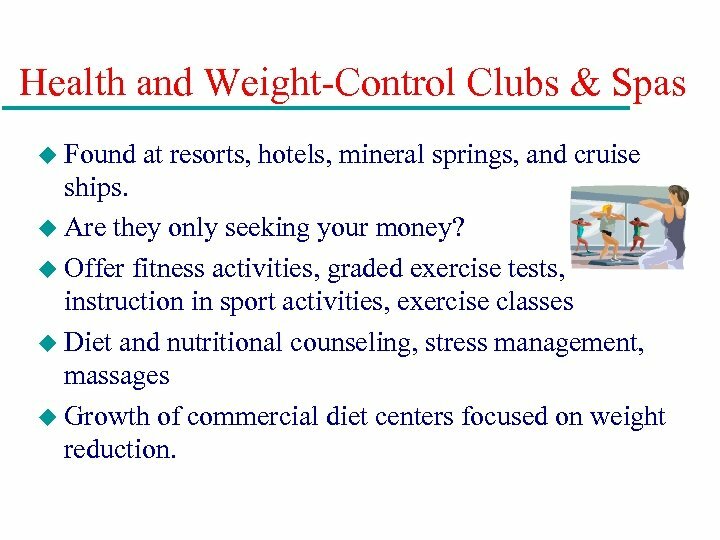 Health and Weight-Control Clubs & Spas u Found at resorts, hotels, mineral springs, and cruise ships. u Are they only seeking your money? 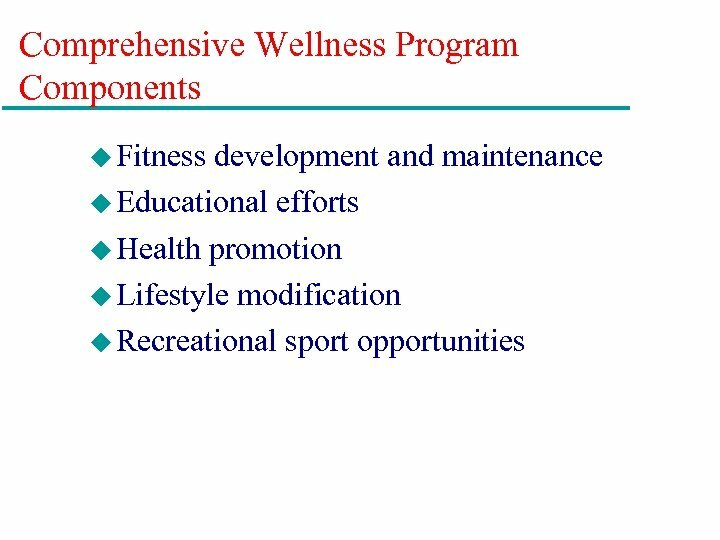 u Offer fitness activities, graded exercise tests, instruction in sport activities, exercise classes u Diet and nutritional counseling, stress management, massages u Growth of commercial diet centers focused on weight reduction. 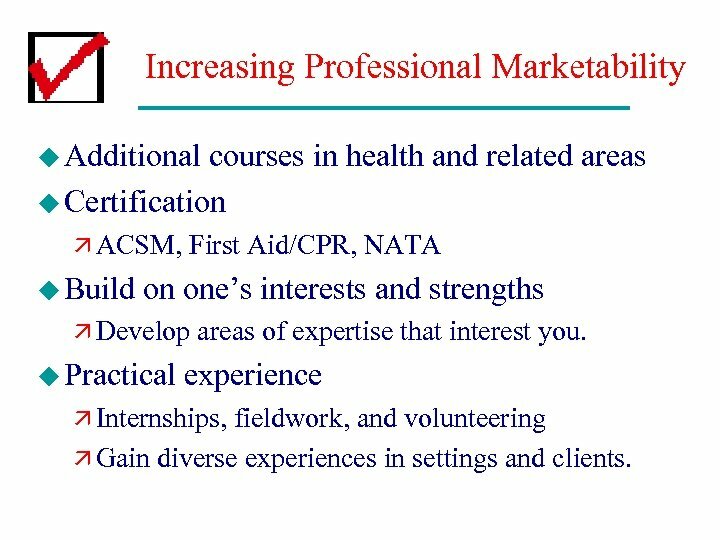 Increasing Professional Marketability u Additional courses in health and related areas u Certification ä ACSM, First Aid/CPR, NATA u Build on one’s interests and strengths ä Develop areas of expertise that interest you. u Practical experience ä Internships, fieldwork, and volunteering ä Gain diverse experiences in settings and clients.